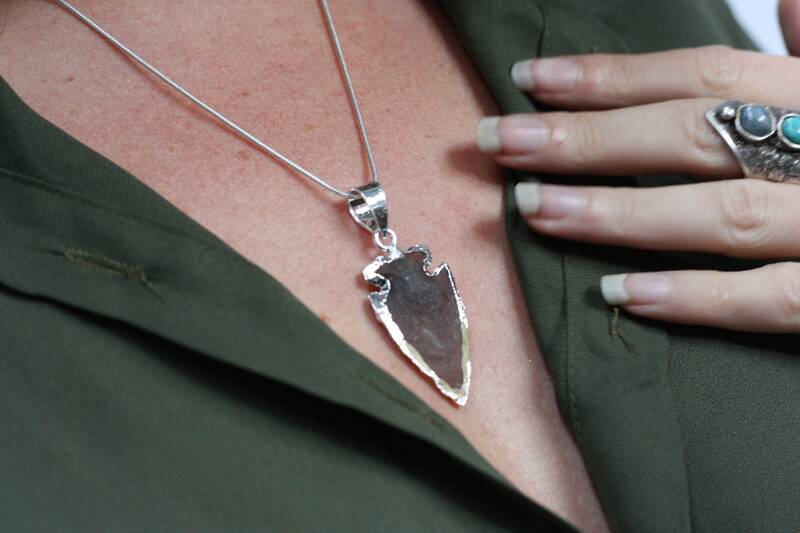 Believed by the Navajo and Native Americans to bring protection, Arrows are symbols of peace. They represent moving forward and symbolise the idea of unity and progress. 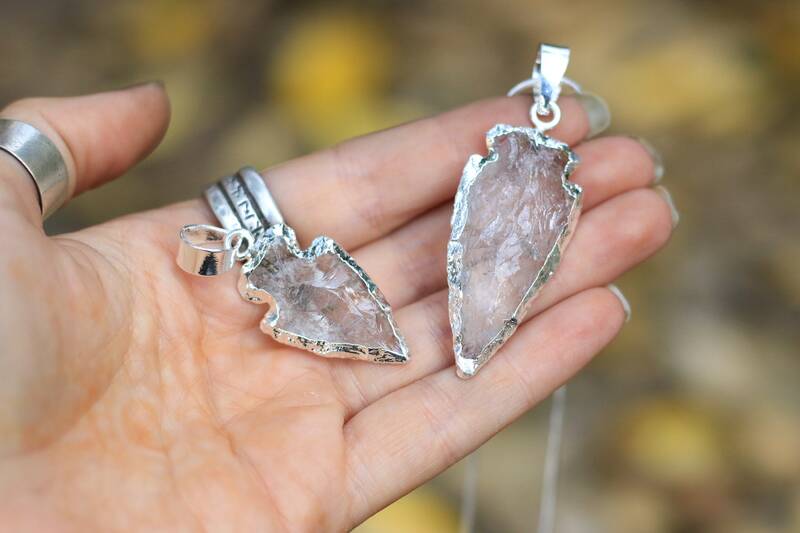 We hand source all of our Arrowheads in india and turn them into beautiful necklaces back here in our workshop in the U.K.
With their simple design they're great as unisex necklaces and suit all genders and ages! 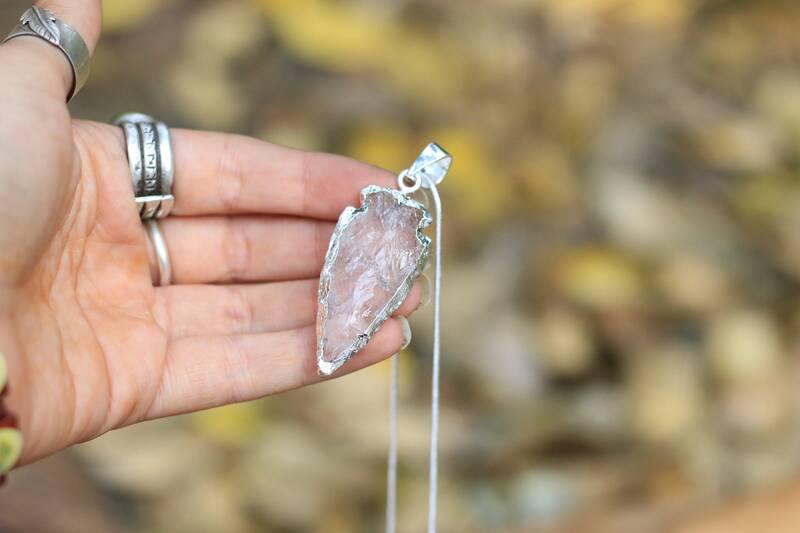 Our Arrowhead necklaces are handmade using the electroforming process where the silver is shaped onto the arrowhead itself, bringing the metal and arrowhead together in unity. The contrast of the silver against the natural hand carved arrow gives it a vintage and rustic feel, whilst highlighting it's texture and allure! 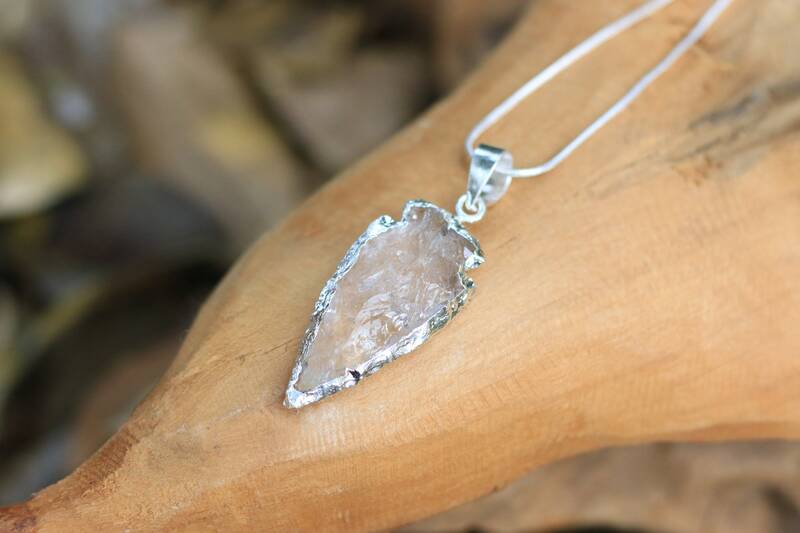 Our arrowhead necklaces are silver plated and hung on sterling silver chains making them effortlessly beautiful, eye catching, and no two pieces are the same. 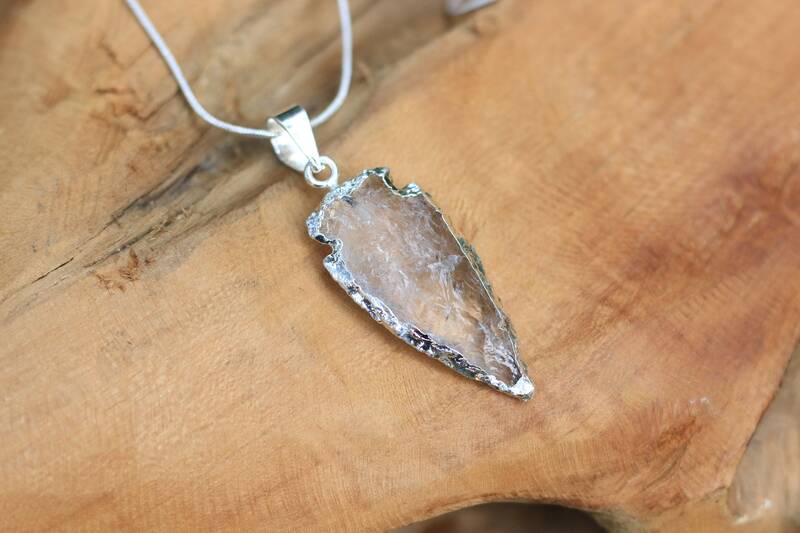 * All of our Arrowheads are hand sourced and natural and therefore may vary in colour or pattern to those photographed.